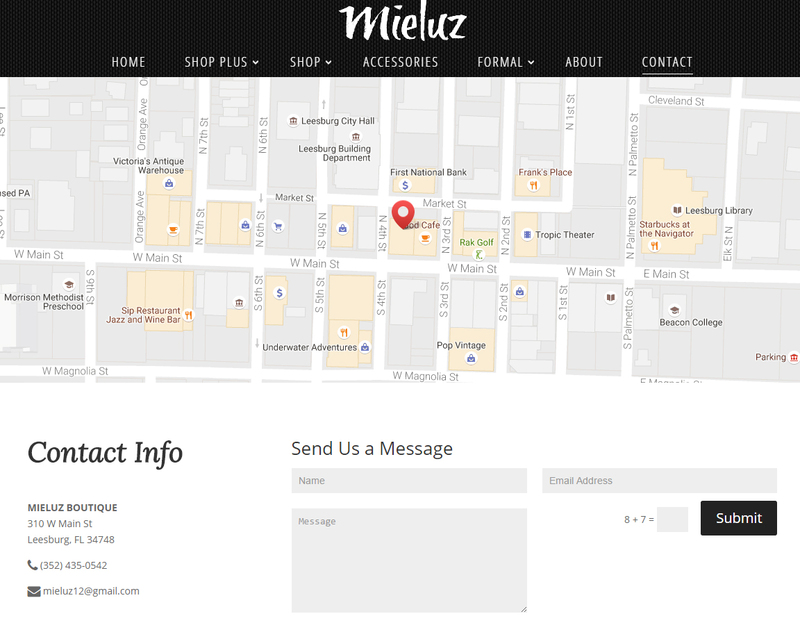 The Mieluz Boutique site was one of my favorites. Zuleim Murillo, the owner, is a close friend of my family and is full of creativity and passion. That passion shows through her business and I knew it had to reflect on her website as well. Like The Vintner’s Choice, she wanted a full eCommerce website so that she could sell to customers all over the world. I built in custom functionality such as currency converters for her customers in Mexico, as well as coupons and sales. When I presented the site to her for the first time, she was so happy that she literally had tears in her eyes. That was definitely the best reaction I’ve ever gotten for one of my designs! In addition to being able to sell to customers all over the globe, the client wanted to bring more people into her retail location in Historic Downtown Leesburg. She had recently moved locations and had just finished remodeling her boutique. So, to ensure that people knew where to find her, I added a huge Google Map to the header on the contact page. We also created an email newsletter campaign that she’s seen tremendous success from, as well as launching a social media marketing campaign to increase her audience engagement.